Growing up, Tajima always maintained an interest in motor sports and the automotive tuning world. Owning several Nissan sports cars throughout his life, he grew comfortable around driving and working on GTR’s and Fairlady Z’s. Being a level headed Japanese businessman, head of his own company nonetheless, he wasn’t very interested in pushing the boundaries of the law on the street or touge. So when the opportunity arose for him to try his skill out on circuit, he jumped at the chance. As the story goes, he was hooked from then on out. When he picked up his current Z33 building back in 2008, he did so with the intention of making a competitive street car. During the time he spent driving GTR’s on track (the whole gambit; 32 to 34), he did so in his bid to be the best. However, as time passed, he realized that it wasn’t the aspect of competition that excited him most, it was simply the enjoyment that he got from driving on track. 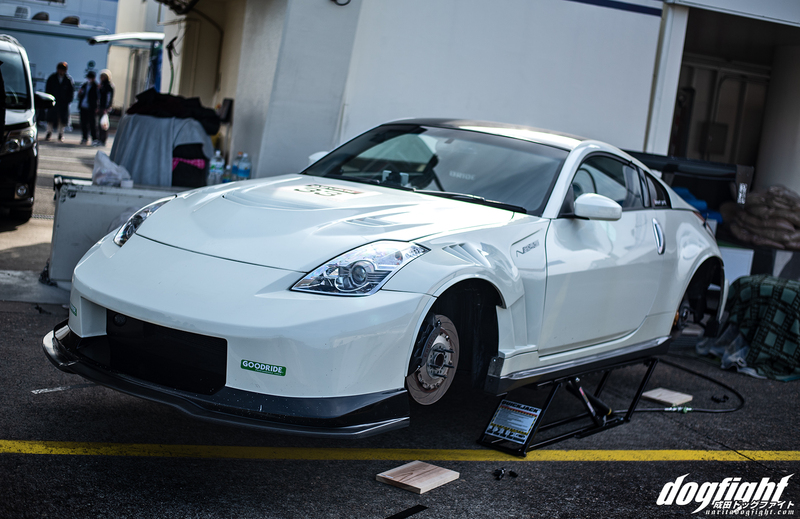 The idea of building a fast, good looking street car, was very enticing to Tajima, and the Z33 happened to check all the boxes. With the goal of building a car that retained its comfort on drives through the city, and would be competitive with the likes of Porsche GT3s and BMW M4’s on track, he set off on the modification of his newly purchased car. I caught up with Tajima at a Zummy event earlier this year at Tsukuba Circuit, where he arrived sporting an updated look. 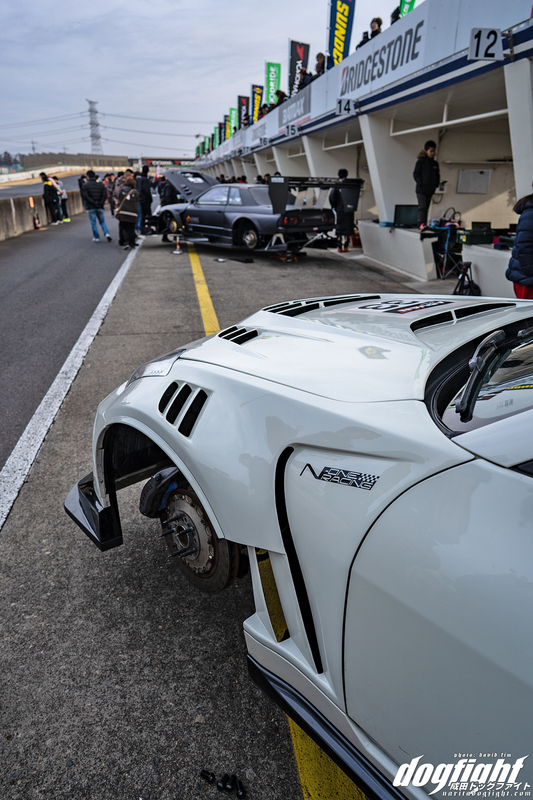 The front fenders had been replaced by a pair of SUNDOME vented fenders; a collaborative effort between Tajima himself and N-One Racing. The integrated vents match the MCR hood perfectly. The bumper, which is a prototype that Tajima has been perfecting over the years, incorporates a front lip and rigid carbon undertray. 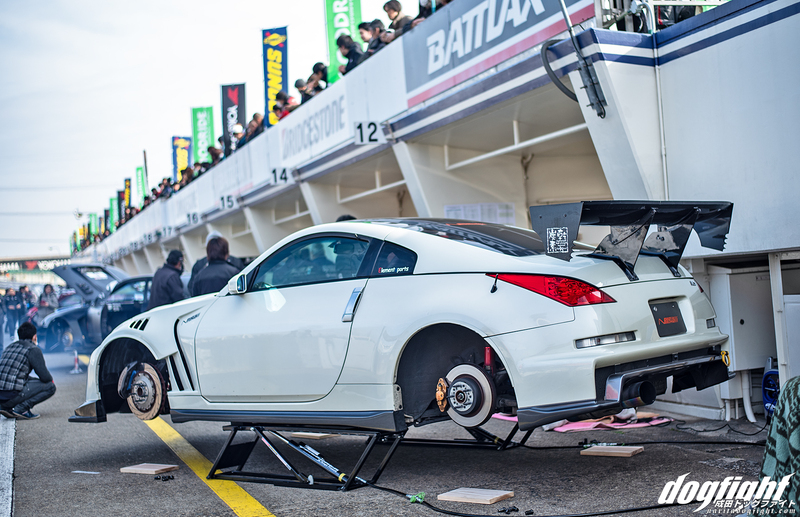 Wheel choice is important in both style and function, and the team have selected a couple choice options for the Z33. 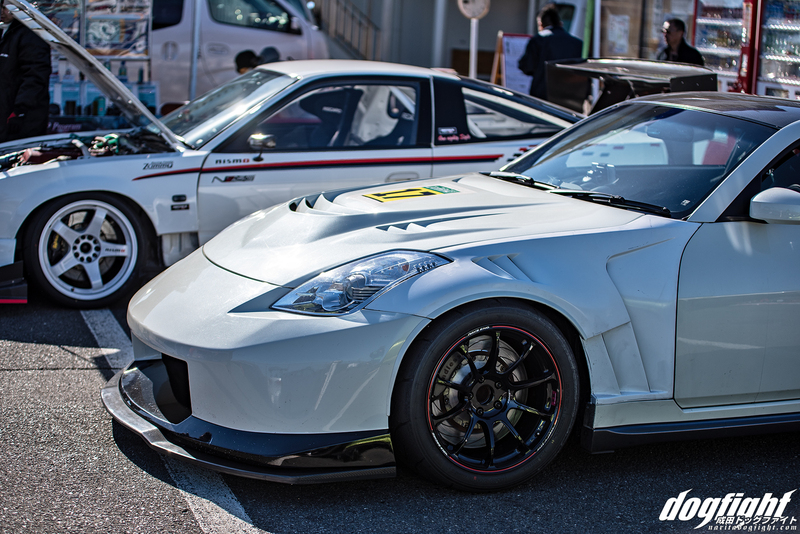 At the Zummy event it was on a set of 18″ Rays Time Attack edition ZE40s, wrapped in 295/35/18 Advan A050 tires. Assisting in that 59 second lap time is the meticulously tuned Apex’i N1 dampers. N-One Racing has revalved the bodies to their custom spec, and mated them with a set of HyperCo springs. 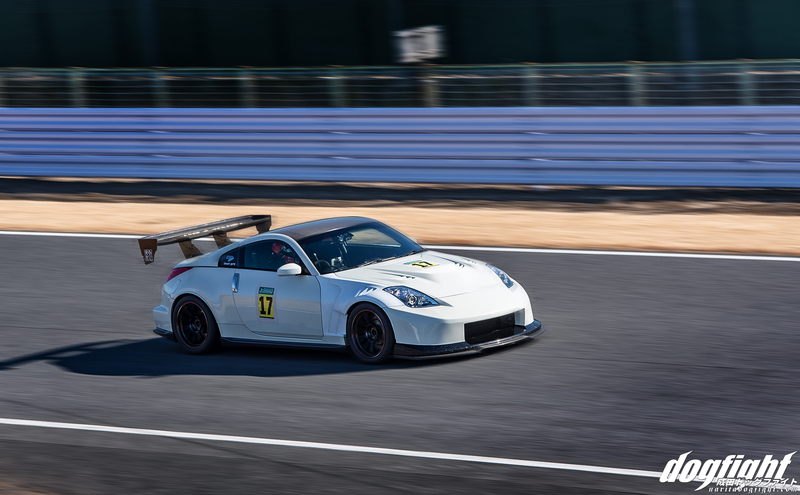 Tajima has recently noticed he may have tipped the scales of the build in favor of going faster, and came to the conclusion he is not as comfortable with the car as he’d like – in terms of everyday drive ability. He mentioned that he may try to tone down the aero of the car by running without a GT wing. 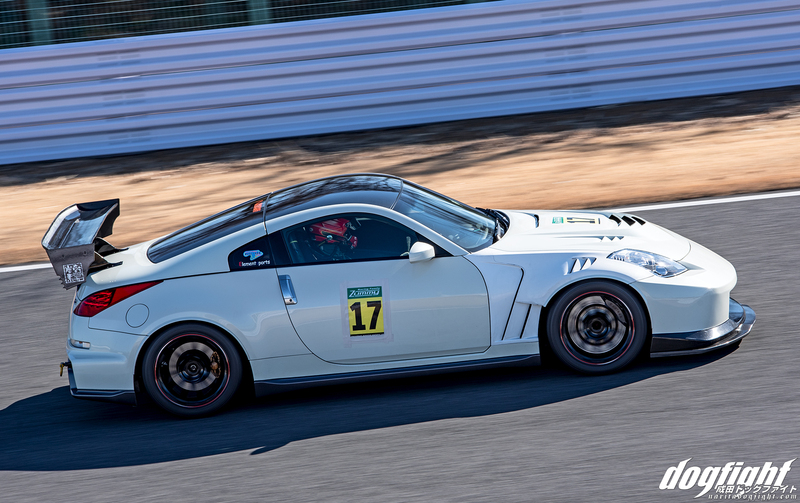 At this year’s Attack Tsukuba event, he was back with the car in fighting form. 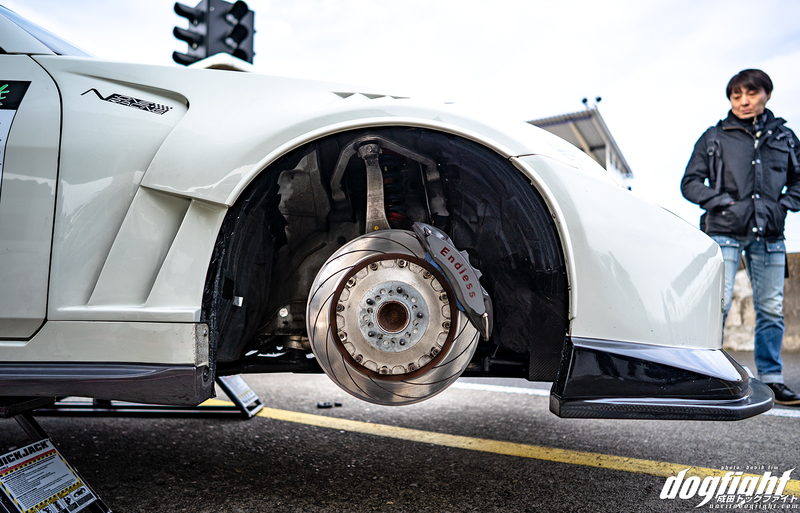 Endless brakes up front have been chosen over their stock counterparts to help slow the Z down throughout the circuit. Flying through the 12 turn configuration of TC2000 during the afternoon’s NA session. This time sporting a set of anodized-red TE37 wheels in similar sizing. While we’ve seen quite a bit of Tajima at Tsukuba this past year, it is ironically not really his first choice in circuits. 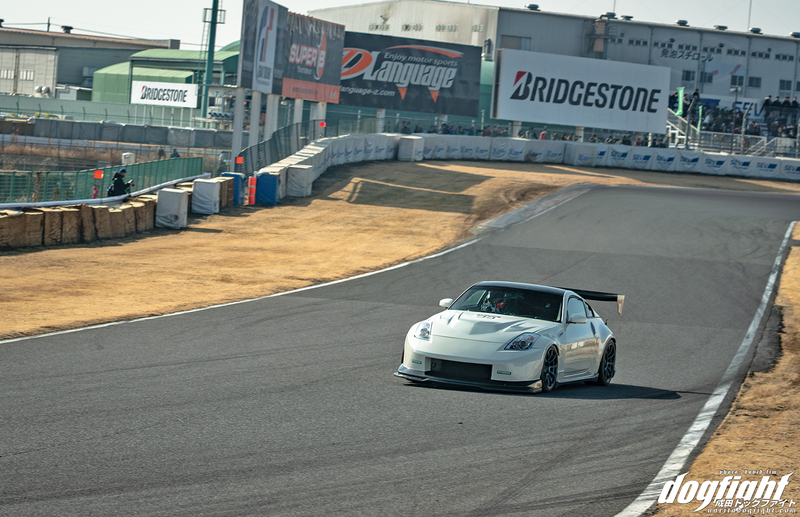 Because he has been driving for so many years, he really has had the opportunity to sample some of Japan’s finest circuits. Up until the tragic 2011 Tohoku earthquake, Sendai Hi-Land raceway was a favorite of his; however, as Sendai was the nearest city to the disaster, at just 80km away, the circuit irreversibly damaged and has been closed since. His new favorite track is SUGO Sportsland – luckily for him, as of a few years ago, Attack holds an annual championship event there as well. On his list of must drives; Suzuka and Autopolis. With no signs of stopping anytime soon, I’m sure that it won’t be long until he checks those tracks off his list. Attack has a video of an older lap of his at TC2000. 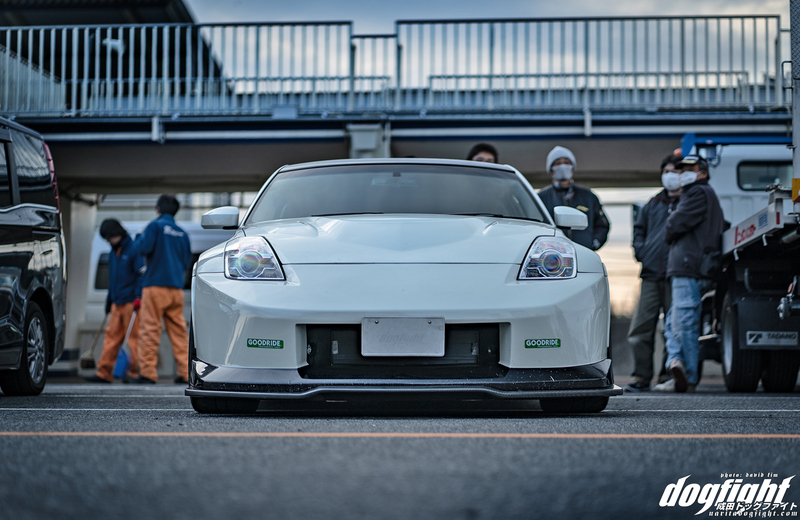 This is such an good looking Z! 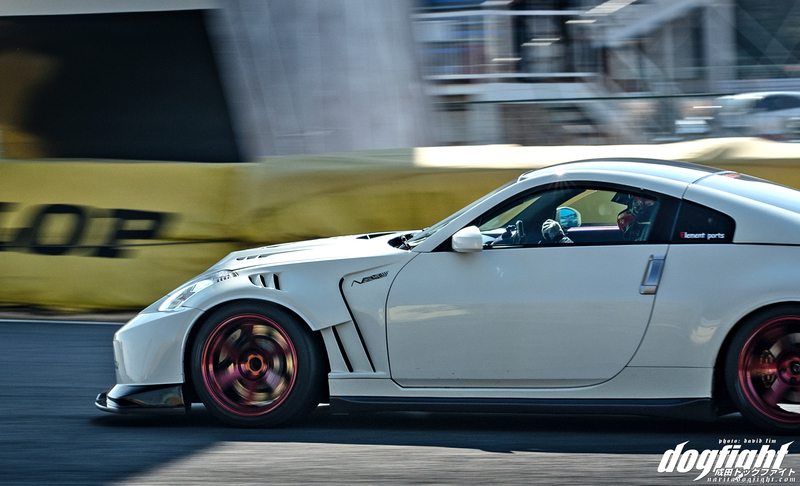 brilliant, the Amuse/Nismo bumpers make the 350z easy on the eye after all. What a sound aswell! Very tasty aero. Rear wing delete would be even sweeter.